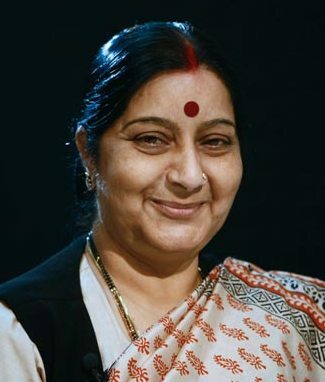 New Delhi, May 28: Senior BJP leader Sushma Swaraj today formally took charge as the Minister for External Affairs. Addressing media outside South Block, Swaraj said talks between Prime Minister Narendra Modi and SAARC leaders were very successful. Swaraj also said that Modi had told Pakistan Prime Minister Nawaz Sharif that terrorism was the first issue that needs to be tackled before holding dialogues. She said, "The PM told Nawaz Sharif that bomb attacks won't let us hear each other out. Terrorism has to be tackled on a priority basis."